Nothing beats a fresh coat of paint to reinvigorate a living space. And when that paint is white, the effect can be all the more resplendent. But all shades are not created equal. We asked the pros for their favorite paint brands and colors, or “the perfect white.” It was a tall ask—these are trade secrets, after all—but they were happy to help homeowners get results they’ll love when they tackle their home projects. These paint pointers are just a sampling of the bright ideas BDG experts have up their collective sleeves…. Why? 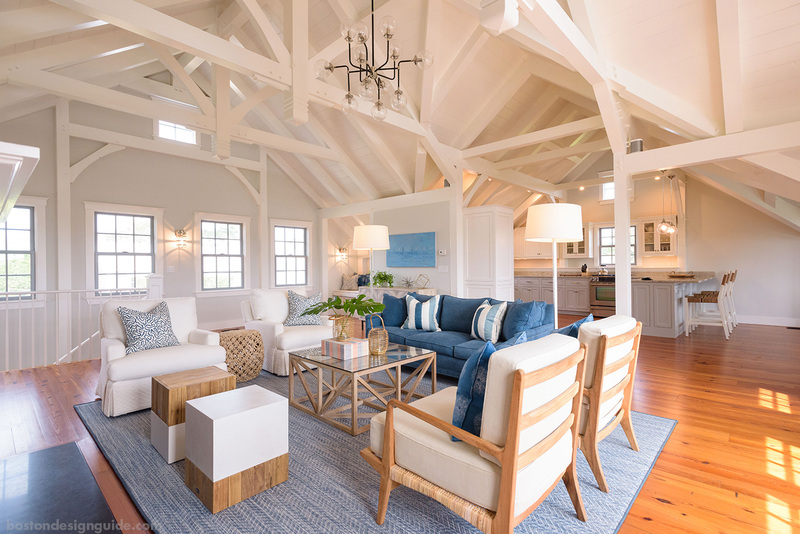 Because it's fresh-as-cream and luminous on beams, trim and woodwork, as shown by this coastal retreat. Why? Because time and again, homeowners agonize over finding just-the-right white, only to return to White Dove for their painted cabinetry. Says the firm, "it is soft, not sterile, and not too yellow, not to mention, beautiful with all that Calacatta marble!" JH Klein Wassink & Co., Inc.
Why? 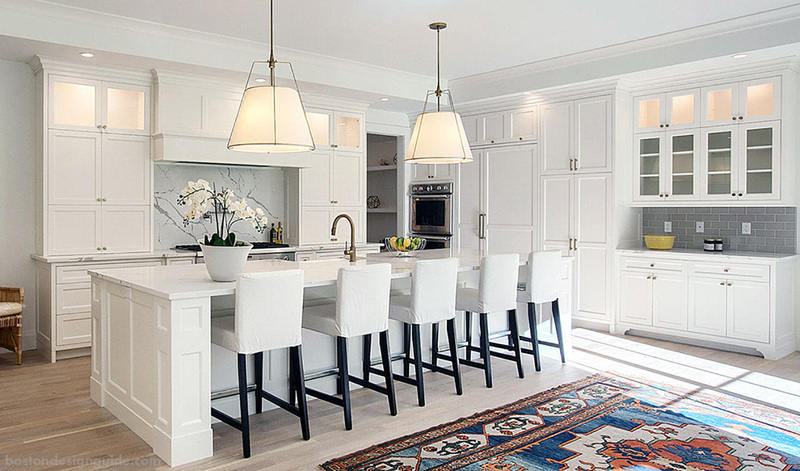 Because Alabaster lends a quiet and sophisticated splendor to the woodwork and cabinetry of this white-on-white kitchen. Why? 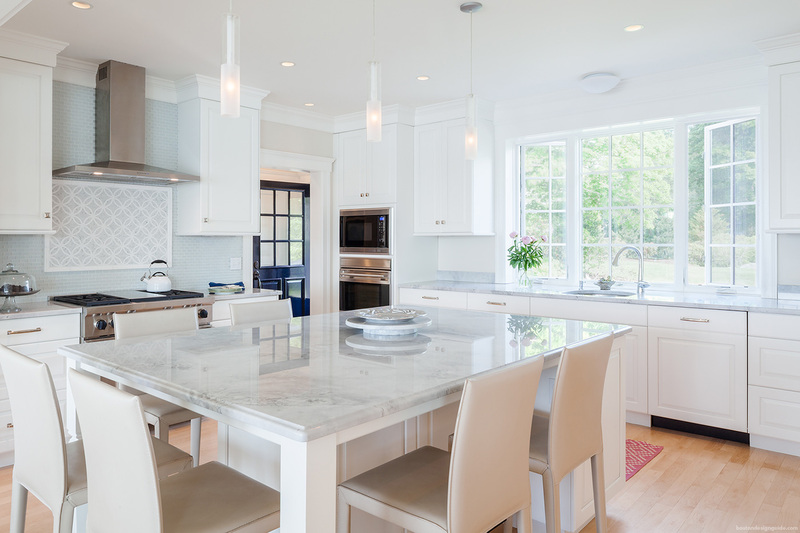 Because this shade, which graces the kitchen and cabinets of a Marblehead home, sings against an ice-blue backsplash and gray-tinged marble. Its purity is further heightened by the brilliant inclusion of a khaki wall (Benjamin Moore's White Sand), as conceived by interior designer Tricia Craig of Marblehead.